People often ask me what is the best way to play suited connectors. And this is because they are tricky hands to play. By the way when I say suited connectors I am talking about hands like J♥T♥, T♣9♣, 9♦8♦, 8♠7♠ and so on. These types of hands have a lot of potential to win a big pot in No Limit Hold'em. There are many different ways to play your suited connectors depending on which type of flop you hit, what type of opponents you are up against and if you are in position or not. However, I do believe that there is one specific way to play your suited connectors that is clearly the most profitable way. I have been using this strategy for many, many years now. In this article I am going to share my strategy with you and show you how to play your suited connectors in the most profitable way. The biggest mistake that I see many people making with their suited connectors is not playing them aggressively before the flop. They will often just limp in with them or call a raise. Here's why that is typically a losing play though. While suited connectors are pretty looking hands, they really only have value when they hit the flop hard which is not going to happen very often. Most of the time your 9♥8♥ for example is not going to hit the flop at all. And the problem here is that 9 high literally has no showdown value at all. So this is why it is crucially important that you learn to start taking control of the pot more often before the flop. By having what we call "the betting lead" more often going into the flop this will allow you to win more pots without needing to actually make the best hand. This is because you can often win the pot by simply continuing the aggression after the flop and forcing them to fold their hand. This is what winning poker players are always looking to do. You should always be looking to give yourself more ways to win in poker and that is why the aggressive play is often superior to the passive play (limping or calling). You have 9♥8♥ on the button and a Loose and Aggressive player (LAG) raises from the cutoff. Well, instead of just calling here (like most people do) why not 3Bet? Because when you 3Bet here you now give yourself two ways to win the pot instead of one. You can either make the best hand by flopping well or you can continue on with the aggression after the flop and take it down with your continuation bet. You have 8♠7♠ in the big blind and 2 players have limped into the pot. Most people will just go ahead and check here without even thinking about it. However, I believe that there is a lot more value in raising it up and attempting to win the pot right then and there. Also, even if somebody does call, like in the previous example, you have now given yourself two ways to win the pot instead of one. Make the best hand or continue betting and take it down as a bluff. If you want to start playing your suited connectors more profitably then you need to start looking for ways to play them more aggressively before the flop. And this is because, as I mentioned before, winning poker players understand the massive value of non-showdown winnings in poker. Many people also refer to this as your "red line" winnings. Losing poker players on the other hand think that poker is all about limping, calling and hoping to hit a flop. And yet they wonder why they keep losing again and again! Now let me be clear here though. Yes, it is still ok to just flat call or even limp sometimes with your suited connectors. I am simply talking about increasing the frequency with which you get aggressive with your suited connectors preflop here. After all, you should never do the same thing every single time in poker. This makes you far too easy to read. But winning poker players are always leaning towards taking the aggressive action in poker more often. Because once again, it's very, very simple math. The aggressive play often gives you more ways to win the pot. What about playing your suited connectors postflop though? Well, a lot of the same sort of logic applies postflop as well on the flop, turn and river. You can't just passively play your suited connectors and only continue on when you hit a pair or a good draw. Because as we discussed before, this just doesn't happen very often in poker. Most of the time when you see a flop with a suited connector all you will have is 8 high or 9 high. In other words, pure garbage. So in order to turn a profit with your suited connectors you need to look for good opportunities to semi-bluff with them. You raise from middle position with J♦T♦ and a tight player calls from the big blind. Here is a perfect example of a spot where you should often be playing your suited connector aggressively instead of just calling. Again not all of the time, but a good portion of the time. We raise preflop and catch a flop that absolutely nails our perceived range. Now if you remember in Crushing the Microstakes I talked about how a "perceived range" in poker is the entire spectrum of hands that we are expected to have as the preflop raiser. When we raise preflop we are expected to have plenty of Ax hands in our range and Qx as well. So we can credibly raise here for sure even though we have neither of those in our hand this time. Not only is this a great flop for our perceived range though, it is an excellent semi-bluffing opportunity because we have a double gut shot straight draw to the nuts as well as a backdoor flush draw. By raising instead of just calling here we once again give ourselves more ways to win the pot. We can either take it down right now with a raise, or if he calls, then we can also win the pot by continuing to be aggressive on the turn. And of course it is very important to remember that we still have the exact same chances of spiking our gut shot straight draw or our backdoor flush draw as well. In other words our equity to make the best hand remains the same. So if you want to start playing your suited connectors more profitably then you absolutely need to be looking for spots like this after the flop to semi-bluff with and give yourself more ways to win the pot. Now here's the other thing though. Position is unbelievably important in poker because the ability to act last means that you will win so many more pots without showdown and also get in those extra value bets when you have it. In fact, position is so important in poker that you will end up winning far more from the button and the cutoff than any other two positions in poker. Just log into your PokerTracker database, filter for your winnings by position, and you will see the results for yourself (assuming you have a decent sample size of hands). And there is no other grouping of hands that benefits more from the power of position in poker than suited connectors. We saw a perfect illustration of that in the previous example. So with suited connectors I try to get in as many hands as possible with them when I am in one of the late position seats: the button and the cutoff specifically. I will often look to take control of the pot with a raise or a 3Bet like I mentioned before but if I see a fish in the blinds I will happily just flat call as well. Let's look at an example of that. You have T♣9♣ on the button, a tight player opens from early position and there is a fish in the big blind. This is a perfect example of a situation where I will almost always just flat call preflop. First of all I wouldn't want to 3Bet versus a tight poker player who opens from early position because I know he is going to be on a very narrow value range. See my complete guide to beating tight poker players for more on that. And secondly, I really want to keep the fish in the big blind in the hand. As I mention so often on this blog, the recreational players are going to be your biggest profit sources at the poker table. So the last thing I want to do here is 3Bet and blow him out of the pot. So this is a perfect spot to just flat call preflop with a nice suited connector and look to outplay them both postflop with the benefit of position. Now something I do want to point out though (and this is shocking to some people), is that you won't actually turn a profit with suited connectors no matter how good you are. Once again, you don't have to take my word for it. You can go into your PokerTracker database right now and I can pretty much guarantee that you are losing with all of your suited connectors (again, assuming a decent sample size of hands). So, does this mean that we should just avoid playing suited connectors altogether then? Absolutely not. The reason why is that suited connectors are great for balancing our aggression with the times that we actually do have a monster hand like pocket AA, KK or AK. You have probably seen an extremely tight poker player like the guy in hand before. These guys don't play suited connectors. They sit around waiting for their pocket aces or pocket kings all day while they set-mine as well. However, this makes them so easy for any thinking player to play against that it is laughable. So this is why it is important to have speculative hands like suited connectors in your range if you want to be difficult to play against. Also, like I discussed in this article, by using well timed aggression with our suited connectors both before and after the flop, it is definitely possible to lose a lot less with them. And believe me, this absolutely is a victory in poker. So what is the best way to play suited connectors? Well, you should be aggressive with them most of the time before the flop. And you should also look for plenty of spots to profitably semi-bluff with them after the flop as well. Even though you ultimately will not turn a profit with suited connectors, it is essential that these hands are a part of your range because they balance out your big value hands and allow you to win much more with them. Also, by following some of the advice in this article, you should be able to start losing far less with your suited connectors and hopefully get them somewhere close to break even one day. If you want to know my complete strategy for crushing the micro stakes poker games, make sure to grab a copy of my free poker cheat sheet. And if you want to know about my life as an online poker pro and writer traveling the world, make sure to follow me on Instagram. Let me know how you play your suited connectors in the comments below. What do you think is the best way to play suited connectors? There are definitly a lot of misconceptions about suited connectors like thinking, they are implied odds type hands and play well multiway like baby pairs. But they are actually closer to being reverse implied odds hands, if you play them multiway, because they so rarely makes the nuts. If you make a flush with a suited connector, someone could easily have a higher flush, and if you make it before the river, someone could have a redraw to a higher flush. 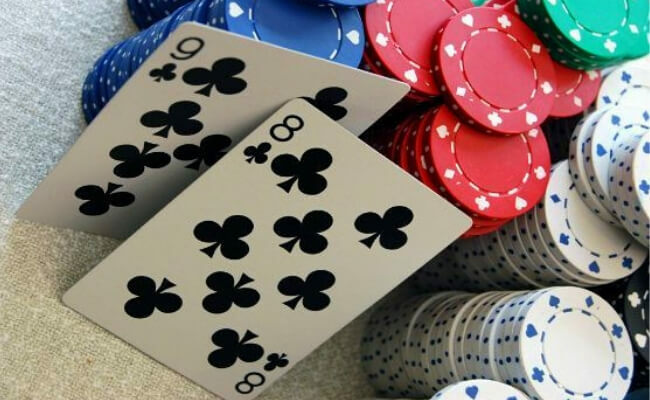 If you flop two pair, its often times bottom two pair, so you are easily outdrawn or counterfeited, and there is always a straight draw on board. And if you flop trips, you have kicker problems. Even your straights will sometimes be beat by a higher straight, a flush or a full house. And of course most of the time you will either flop nothing or a single pair, which is either second or third pair. Or it has kicker problems and lose to a lot of overpairs, plus the board is very connected, so someone could easily have or make a straight. Ya suited connectors are difficult to discuss because there are so many different ways to play them and so many different factors involved. I honestly could only scratch the surface in this article. But I have never written about suited connectors before on this blog and somebody suggested it recently. Thanks for your thoughts as always Lars. I'm guilty of just call with suited connectors jeje. I'll now start 3betting more and play aggressively especially in position. Very helpful this article, thanks a lot Nathan! Would be great if you make an article about how to play the middle and low pairs like 66, 55, 44 etc. Thanks Agarroz glad this article helped! I would like to know if you could not win a very long time at the Micros because of the variance? After starting with your book CTM i began with 60$ on 888Poker and i crushed really the Micros and I went up a level to 2/5. Everything was ok at this level as well i won 10bb/100 until then. I had 240$ on the account and then everything went the other way around. I lose my big hands against fishes until today! at the moment i have only 115$. Regs are not the problem. At the moment I am a bit desperate and do not know what i can do. Yes absolutely. I believe I say in CTM that it takes at least 100k hands to get past basic variance. Because that is the reality of the game in my experience. Since it takes most people several months to play this many hands (at the very least), this means that most people could run bad for months on end. Its pretty normal to start your poker career with an upswing and think, you are crushing the games, but in reality you have just been on a heater. And then at some point things turn around, and you are pretty unprepared for it mentally. The best advice is to move back to 2NL to regain your confidence and protect your remaining bankroll. And then you should analyse your game. Go into your HUD and review all your big losing hands from the downswing period. Chances are, some of them are just coolers, but that you will also find hands, which you could have played better. Tilt come in different forms, but the one, I know from myself, is not wanting to fold, when I am running bad and losing. Its kind of human nature really. When we are losing, we want to win our money back, and we cant win by folding. So I go into "to hell with this, I am not going to fold" mode and call my opponent down, even though I know deep inside, I am probably beat. thanks for your words. Yes if you lose so often then i play automaticly worse. I will try it further to come back to the top. Nice article! Would you cold call 87s+ in late position vs a tight player in early position with no fish in the blinds? Yes if the tight player is bad. If they are one of the better regs, then I fold. First thing, your articles are great and your website is one of the best if not the best poker website I have seen. Second thing, for some reason I can't download your free poker cheat sheet. Got few times to the point where I need to confirm I want one by clicking the link in email from you, which every time I did, but unfortunately never got anything.. Would you be able to help me with that please?? Thank you for the kinds words Pawel I am glad my poker website is helping you! Make sure to check your junk email folder for my free book. If you still don't receive it, just send me an email and I will send it to you manually. in example 3, doesn't JT flop a DOUBLE gutshot on A8Q ? both the K and a 9 give you the nut straight, I think.